The Monday, September 11, 2017 Annual General Meeting (AGM) of Oando Plc has received the clearance of the Securities and Exchange Commission (SEC). The meeting, in its 40th edition, is scheduled to take place at the Akwa Ibom State Hall, Uyo, Akwa Ibom State. SEC’s clearance came after an interim report by the special task team set up by the capital market regulator found no substantial evidence against the oil and gas firm following petitions filed by Alhaji Dahiru Bara’u Mangal and Ansbury Inc. Both parties had filed the petitions against Oando, alleging gross abuse of corporate governance and financial mismanagement. 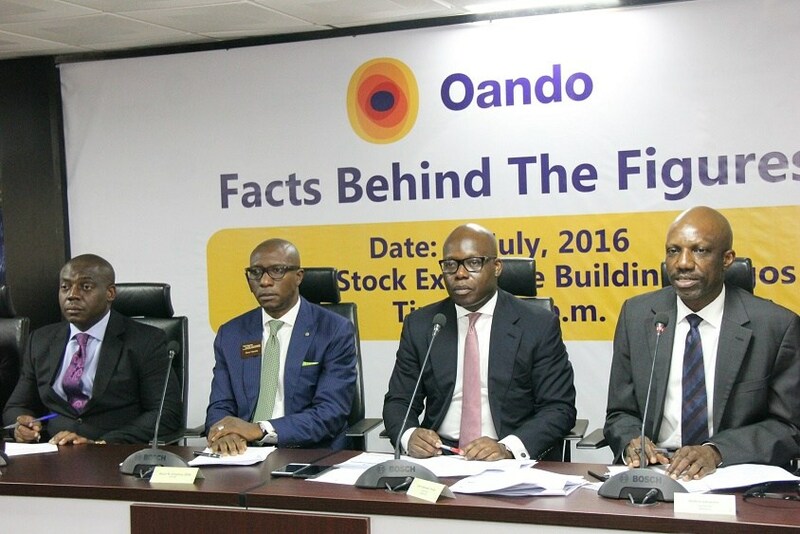 On August 26, 2017, Oando Plc had confirmed to Business Post that its AGM would go on as planned, refuting claims that the meeting had been put on hold by SEC. It was gathered that the petitioners were also seeking to stop the next Monday’s AGM, but according to The Nation, SEC’s special task team stated that it has found no material evidence indicting the company of such allegations. On the basis of the interim report, SEC, in a letter to the Group Chief Executive of Oando, dated August 31, 2017, gave Oando the nod to hold its AGM as scheduled. SEC, in its report, noted that it was unable to identify any material findings that would warrant the postponement of the company’s 40th AGM. The SEC’s preliminary report appeared to align with the position of Oando, which has consistently affirmed that the allegations lack merit. Oando revealed that Ansbury Inc is not a shareholder of the company, but a shareholder in a company domiciled in a jurisdiction outside Nigeria which in turn holds shares in a Nigerian investment company that is a shareholder in Oando. It added that Alhaji Dahiru Mangal is an individual who requested clarification from the SEC on issues which he could easily have obtained from the company and indicated in his petition to the SEC that he holds a 17.9 percent interest in Oando. “However, based on the company’s register of members, First Registrars Limited, he owns approximately 4 percent of Oando Plc’s shares in his personal capacity.